Moisés Naím is a Senior Associate in the International Economics Program at the Carnegie Endowment for International Peace, a best-selling author of more than ten books including Illicit (2005) and The End of Power (2013), and an internationally syndicated columnist and commentator on globalization, international politics and economics. He is a contributing editor for The Atlantic, a contributor to the Financial Times “A” List, and the chief international columnist for Spain’s El País and Italy’s La Repubblica. 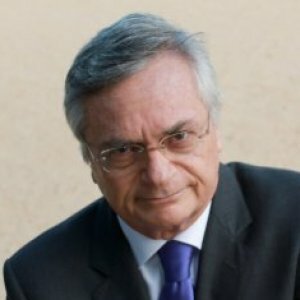 Since 2011, he hosts and produces Efecto Naim, a weekly television show on global affairs that airs in the US and Latin America via NTN24/DirectTV . Dr. Naím gained international recognition over the course of his fourteen year tenure (1996-2010) as the editor-in-chief of Foreign Policy, during which time the publication won the National Magazine Award for General Excellence three times. His public service includes his tenure as Venezuela’s minister of trade and industry in the early 1990s, director of Venezuela’s Central Bank, and executive director of the World Bank. Dr. Naím currently serves on the board of some of the world's largest corporations and philanthropic foundations. Dr. Naím holds MSc and PhD degrees from the Massachusetts Institute of Technology and lives in Washington DC. A list of the world’s 100 most influential contemporary thinkers – and one of their most important and best known ideas. "The Most Important Alliance You've Never Heard Of"
"Hugo Chávez, R.I.P. : He Empowered the Poor and Gutted Venezuela"
"Mafia States: Organized Crime Takes Office"
"The Real Story Behind Venezuela's Woes"
"Washington Consensus or Washington Confusion?"